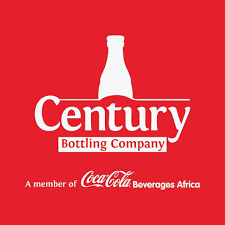 KAMPALA– Martin Kayiwa a businessman has dragged Century Bottling Company Limited to the High Court Civil Division seeking compensation of Shs51,780,000 million after allegedly consuming a contaminated soda. 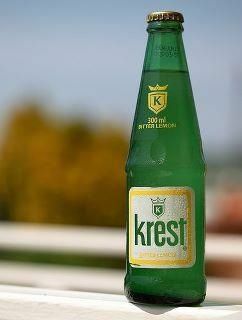 According to the court documents seen by PML Daily, Kayiwa says that he purchased two bottles of sealed krest soda beverage a brand of the defendant (Century Bottling Company Limited) from Queens stores at Nakivubo, which he opened and consumed part of the beverage in one of the bottles but in the process of enjoying the soda he realized an usual taste in his mouth. Kayiwa claims that this prompted him to look at the contents of the bottle he was drinking from and the other bottle and on scrutinizing the contents of the two bottles, he realized that the bottle he was drinking from contained particles of glass, hazy substance, and insects at the bottom of the bottle and the bottle bought for his wife had a sizeable glass particle. “At that moment I become nauseated and developed stomach pain, vomiting, drowsiness which resulted into panic, distress, psychological torture, trauma, and mental anguish,” Kayiwa says in his court documents. Kayiwa says that he was immediately rushed to Bugolobi Medical Centre where he received medical treatment and was later referred to Mulago hospital for further management. Kayiwa asserts that he handed over the two krest bitter lemon soda bottles to the investigating officer who handed them to the government laboratories for analysis and a report was made confirming that the contents were adulterated. He further says that at the medical facility of the police surgeon where his condition was reviewed, a report was made confirming the existence of adulterated substances in his body similar to those in the soda bottle he had consumed. “As a result of the defendant’s actions complained about herein, the plaintiff has suffered and continues to suffer great distress and anguish as a direct result of the trauma, mental suffering and physical illness plus financial loss arising from the negligence of the defendant yet no compensation has been made by the defendant,” reads part of the court documents. Through his lawyers of Byamugisha Gabriel & Co. Advocates, My Kayiwa wants Century Bottling Company Limited to pay him Shs51,780,000 as special damages.